We have decided to postpone the Anniversary Party due to the severe weather forecast of temperatures in the 40s and flash flooding warning. The area in Del Mar tends to flood plus location is an open air cabana. For all of our safety and comfort, we feel this is the best decision. The new date will be in late March or April. As soon as we have confirmed a date and location, you will receive an email. On a positive note, we did confirm with Chris Grant and Cori Schumacher that they are excited and available to speak again. We sincerely apologize for the late notice and any inconvenience this may cause you. This postponement was really a last resort for us after weighing all the options. We were hoping the weather would turn around for us considering how great it has been lately. 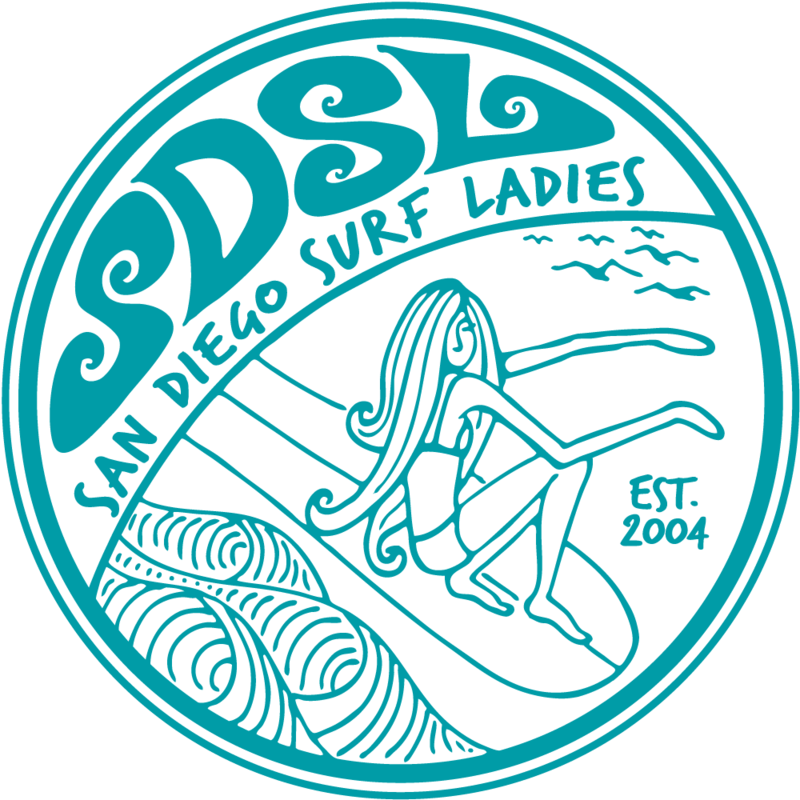 *Raffle Items Added: Waves of Change surf fitness sessions and gift basket, SPY Sunglasses, Racks from On the Wall, California Surf Museum passes plus more! *Potluck: If you'd like to bring something to share, please choose from the list of items below. 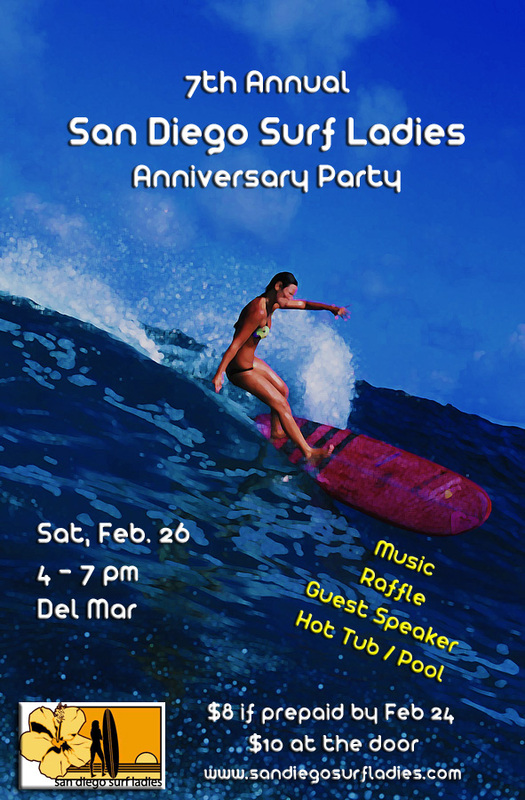 Join us in celebrating 7 years of one of San Diego's only surf clubs specifically for women. The venue features a pool, hot tub, sauna and a shower - perfect for surfing right before the party. We'll be proving the bbq, drinks, music, guest speakers, raffle prizes and logo contest. PARKING: Street parking only. If it's really nice out, plan on arriving early as parking may be more challenging.